With the holidays in full swing I thought I would take it easy and just share a fun holiday project I worked on as a Christmas present for my mother-in-law. 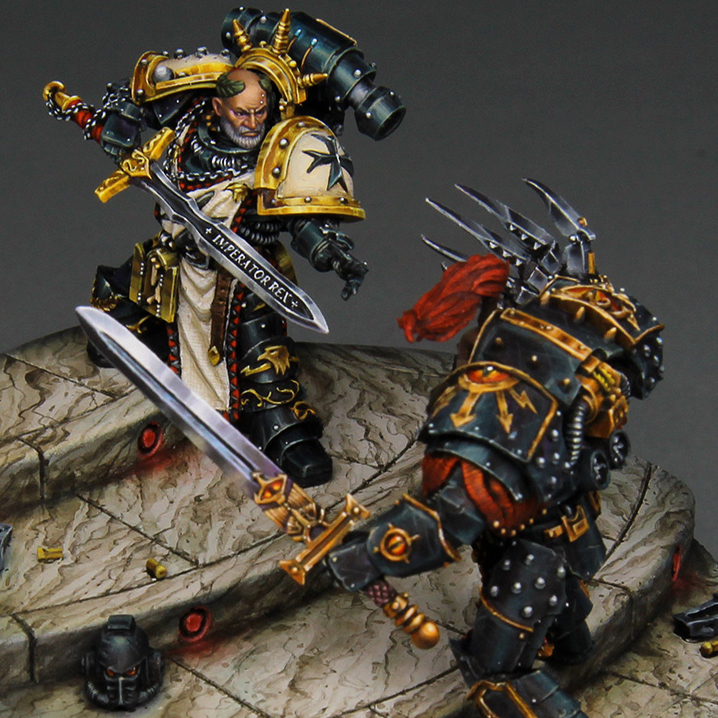 What do you do with 8+ years of caked on paint on your palette? 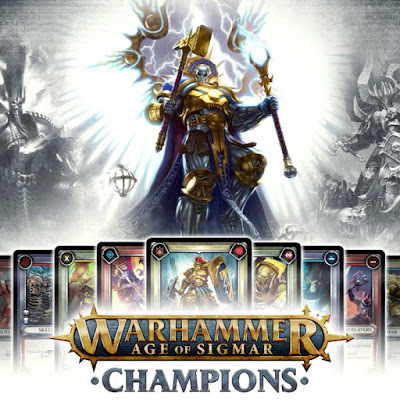 You may have heard of this little game out there right now called Warhammer Age of Sigmar: Champions. I'm generally not a huge fan of card games. 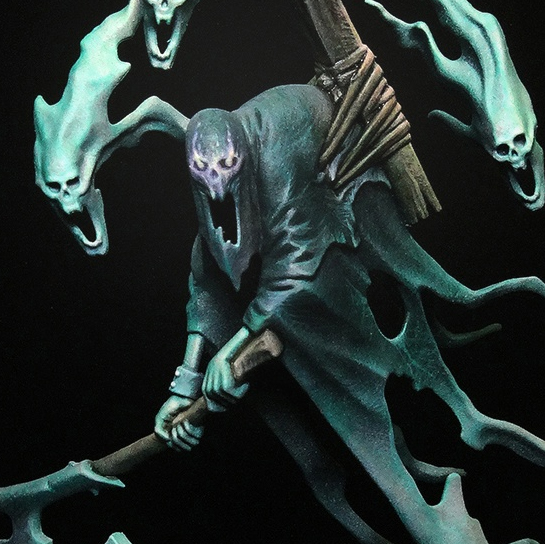 I tried Magic when I was in Middle School, but quickly gave up on it. With the free App version of the game though I figured I would at least give Champions a try and I'm definitely glad I did! 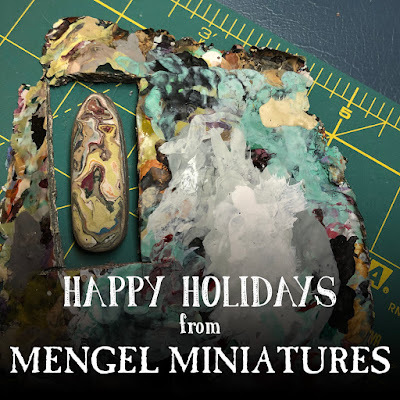 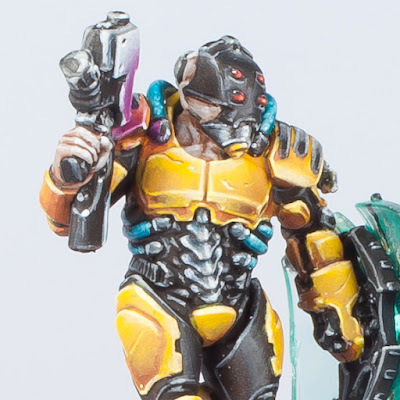 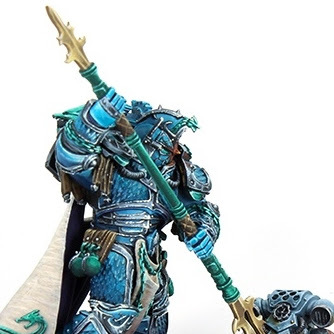 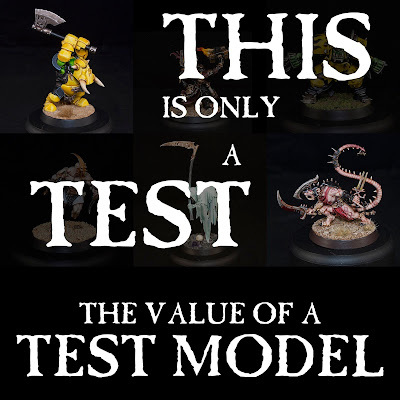 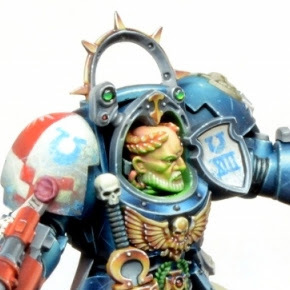 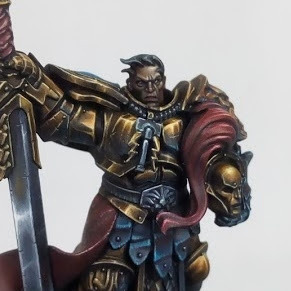 When you look at 'Eavy Metal models, or competition pieces from events, every single part of them is painted to the highest standard. 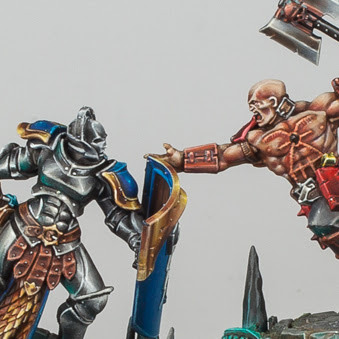 Unfortunately, when it comes to painting an entire army of miniatures, that standard of painting is hard to achieve unless you want to take a decade to finish it. 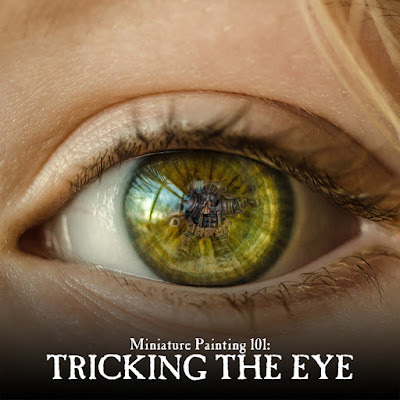 That's where one of the most useful tools in an army painter's arsenal comes into play, tricking the eye. 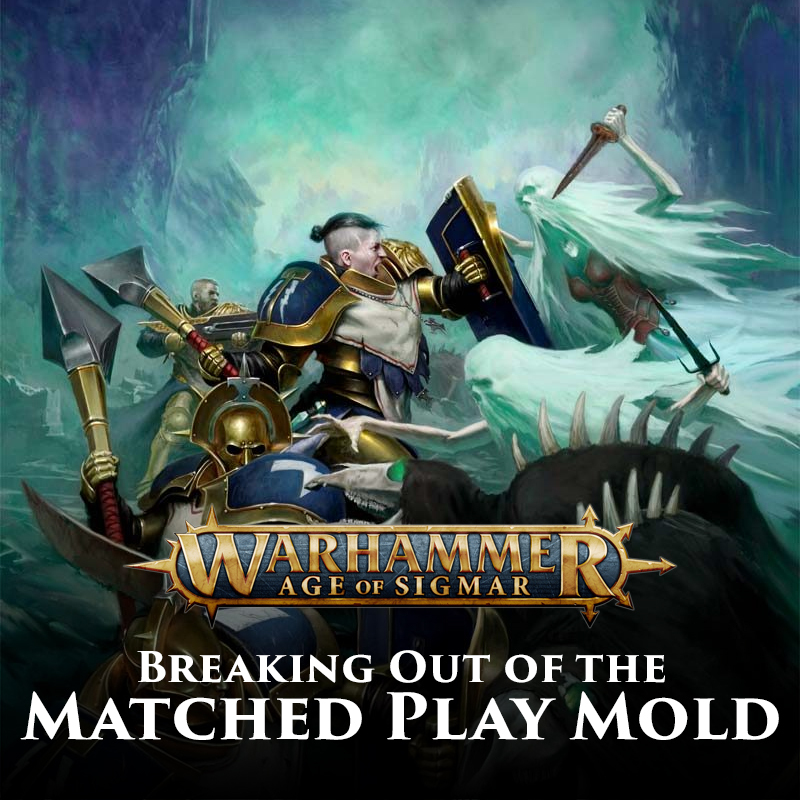 With 18 different Matched Play battleplans to choose from, sometimes there doesn't seem to be any reason to venture out of that comforting cocoon. 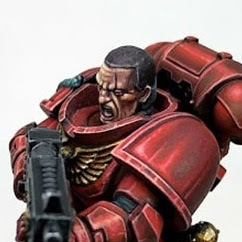 I'm as guilty of doing this as anyone. 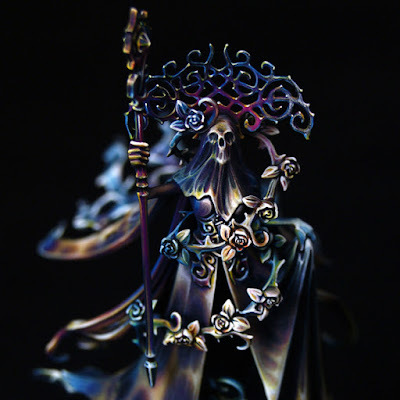 It's nice to break away from it every now and then though and visit those other two sections of the rules, Open and Narrative Play. 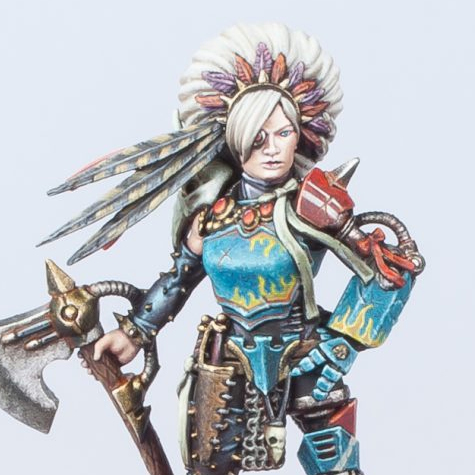 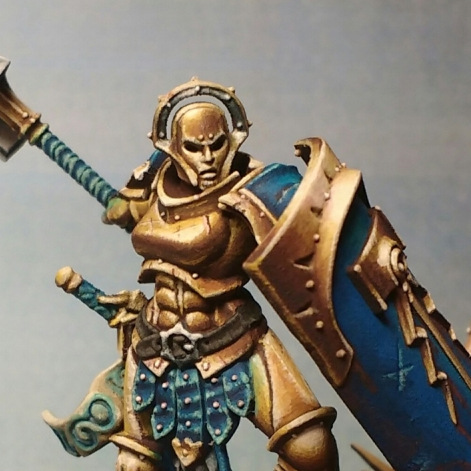 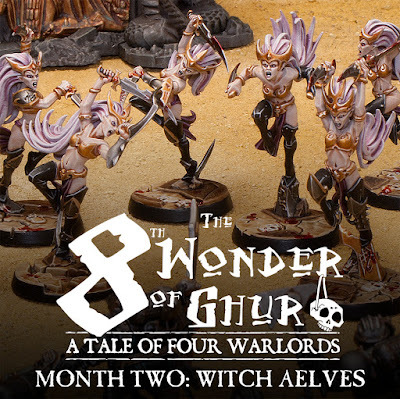 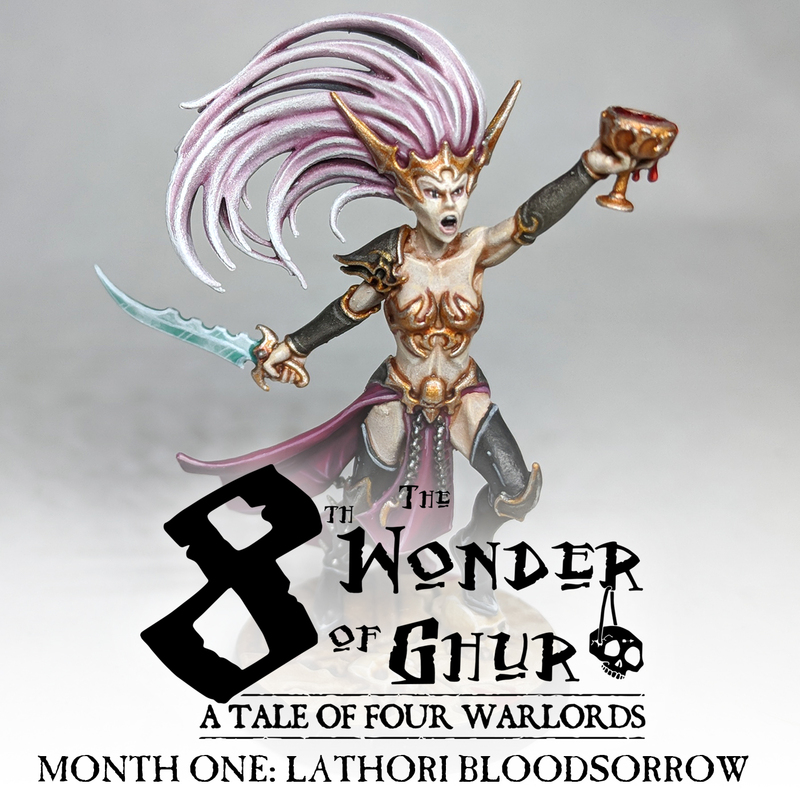 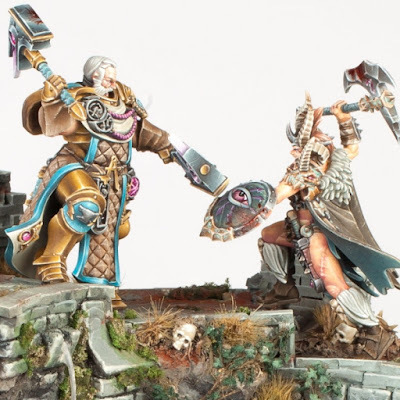 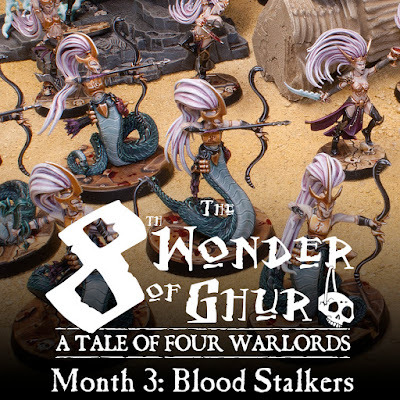 Moving into the second month of our Tale of Four Warlords I decided I needed to start bulking out the core of my Daughters of Khaine, and what better choice to do that than with the ubiquitous Witch Aelves. 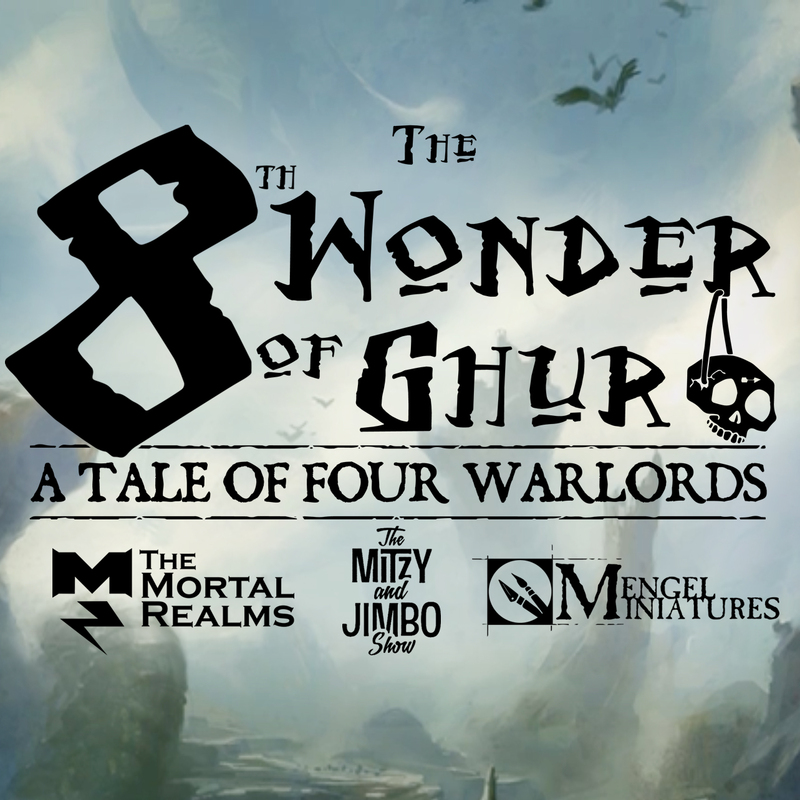 I've always loved Tales of Four Gamers, or Warlords as they're called now. There's just something so satisfying about seeing the different armies and forces grow over the months. 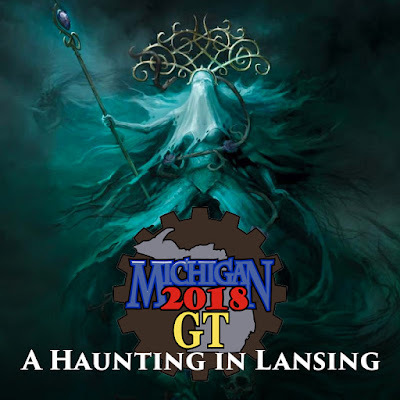 With that in mind I went to Eric, Jimbo, and Mitzy and we laid out a plan for our own Tale of Four Warlords, The Eighth Wonder of Ghur! 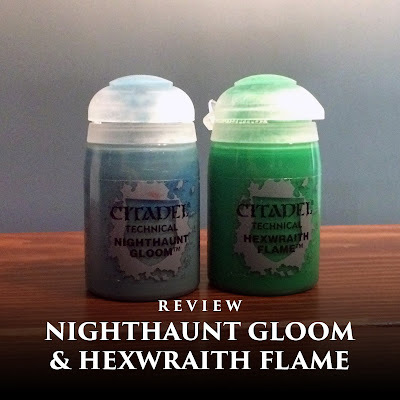 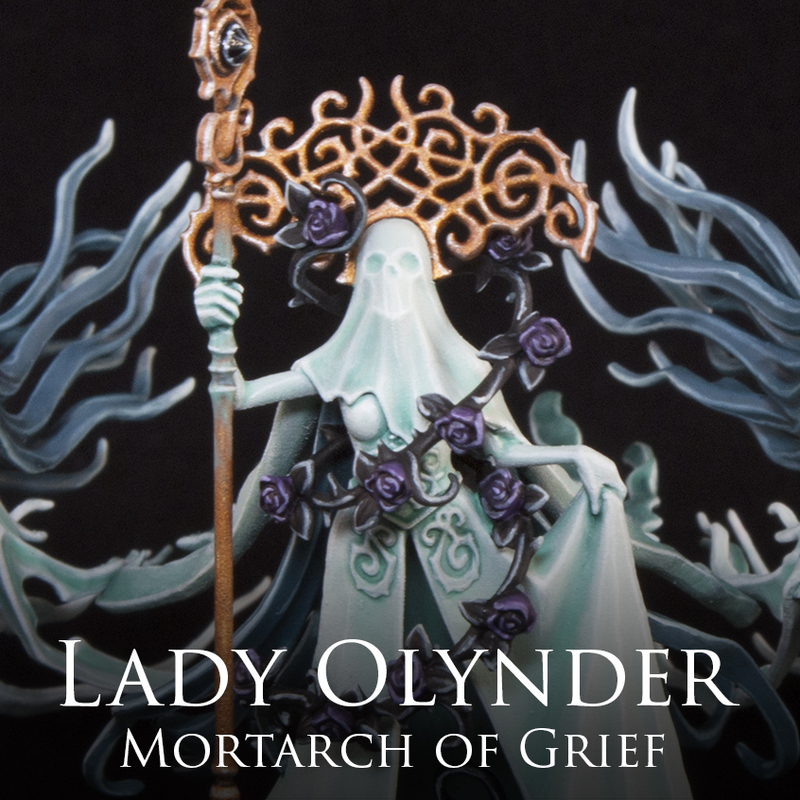 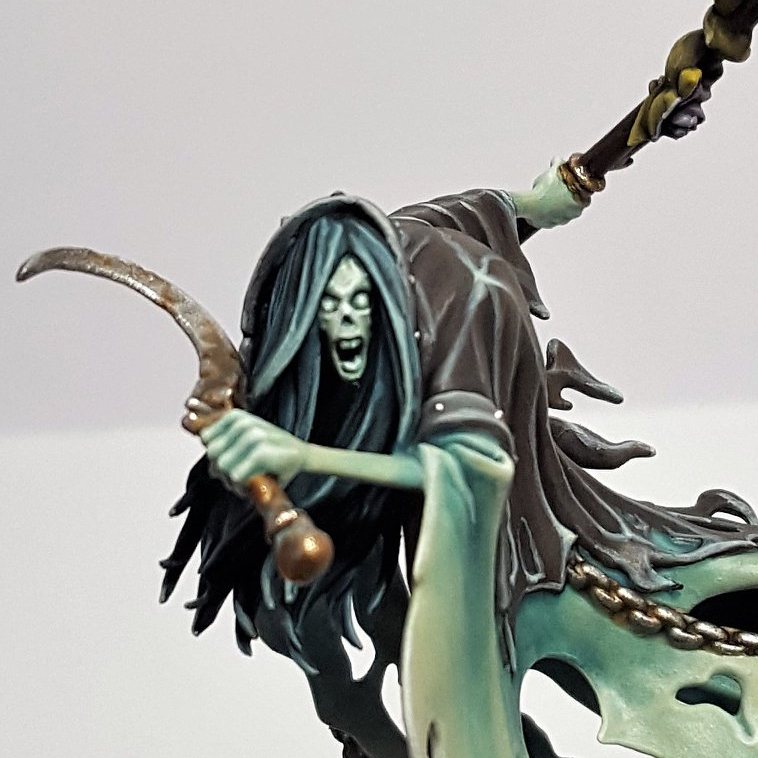 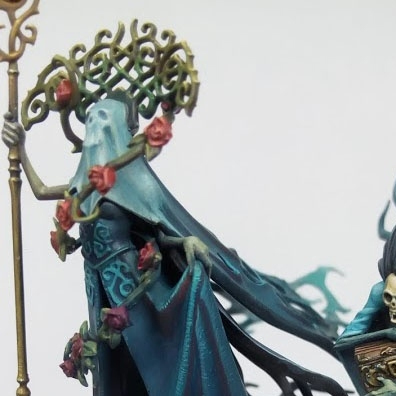 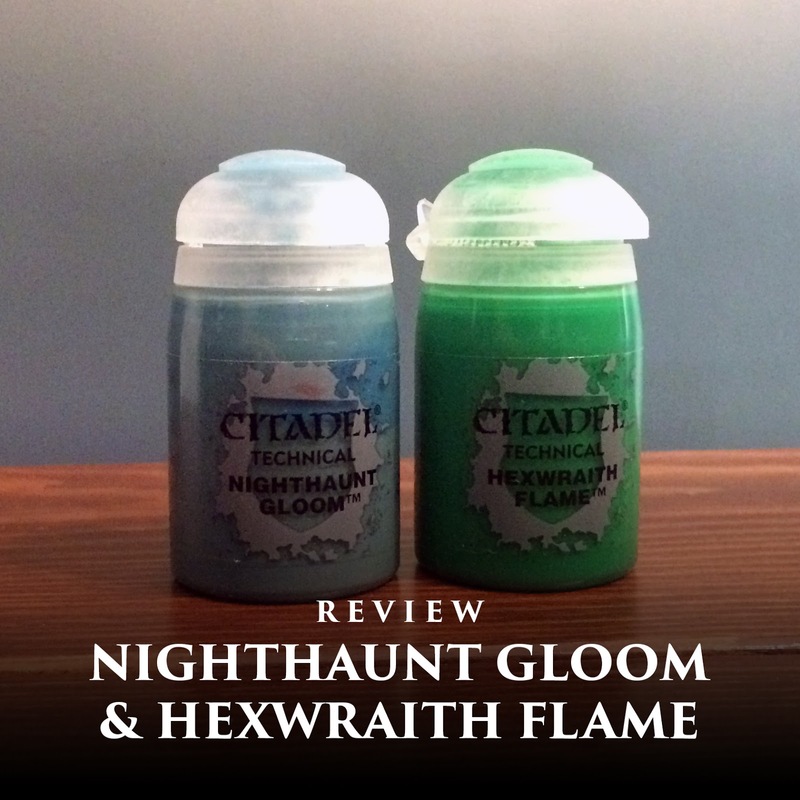 As soon as I saw the new Nighthaunt range I was blown away by the Lady Olynder model. 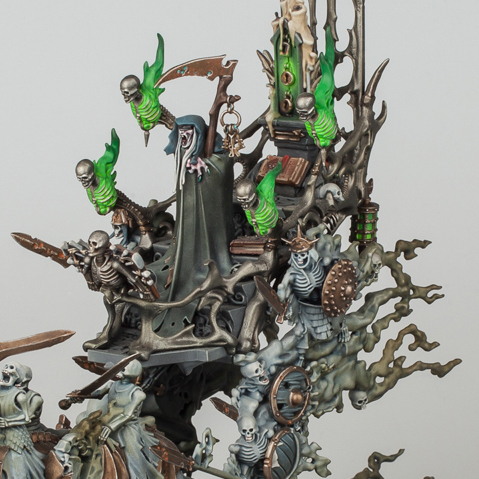 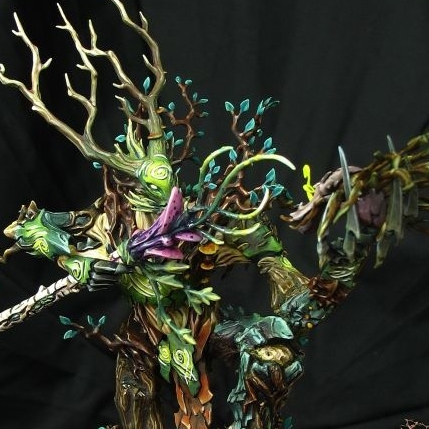 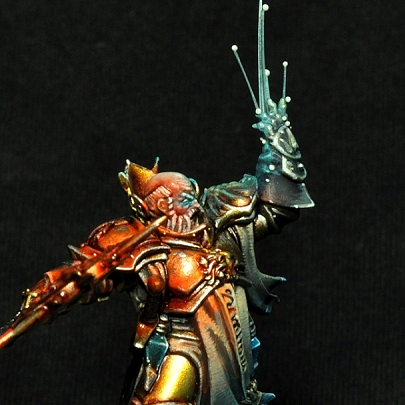 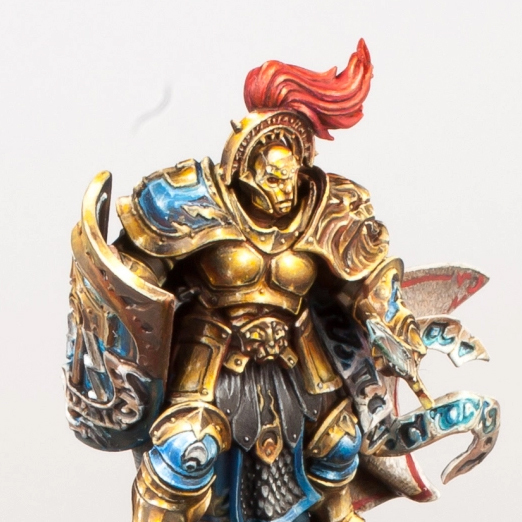 The simplicity of the model makes it so elegant and a painter's dream with all of the surfaces for blending. I knew right away I needed her leading my army, and promptly added her into my painting schedule. 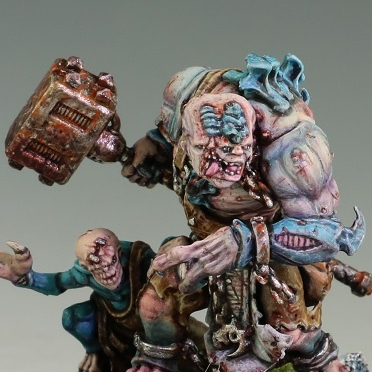 I remember when the Ogre Kingdoms first came out for Warhammer Fantasy back in 6th edition. 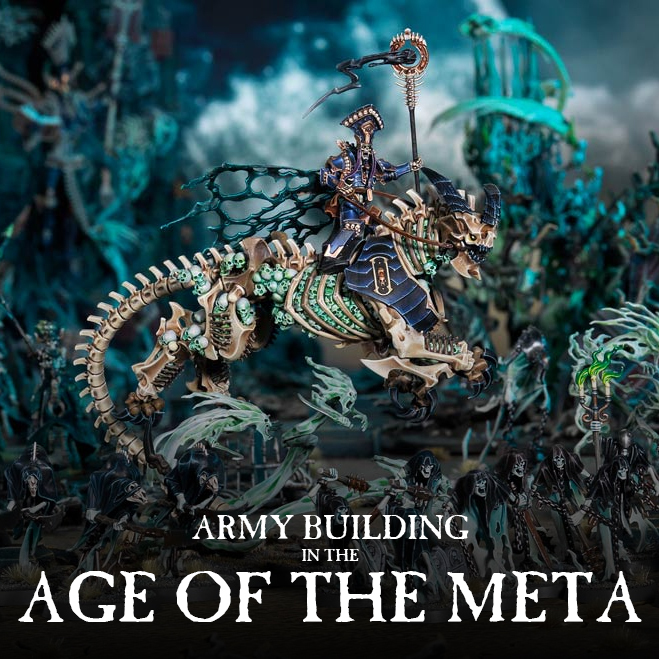 It was an amazing looking army at the time, and the first army that really let you focus on a lower model count. 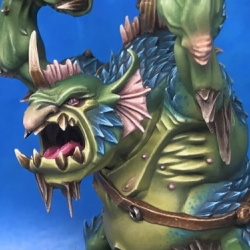 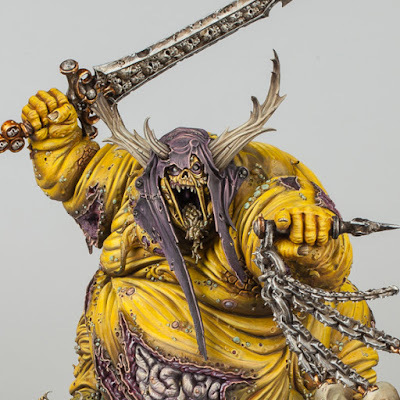 Most of units from that army have made the transition over into AoS as the Gutbusters, and now wreak havoc across the realms, devouring all in their path. 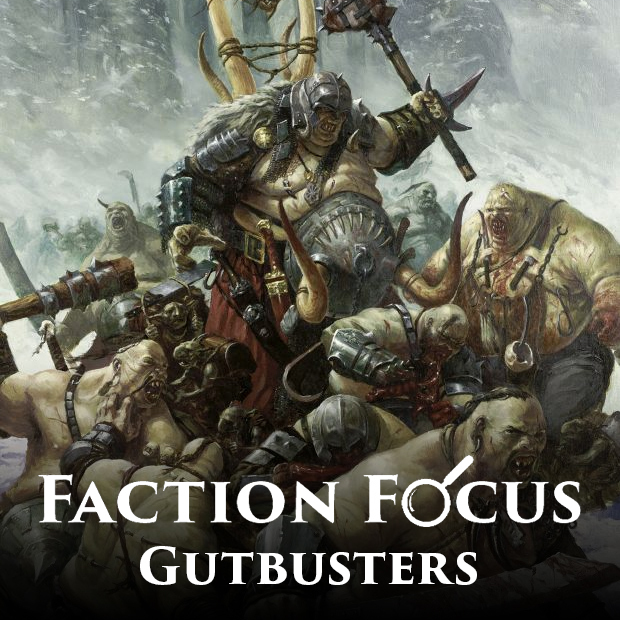 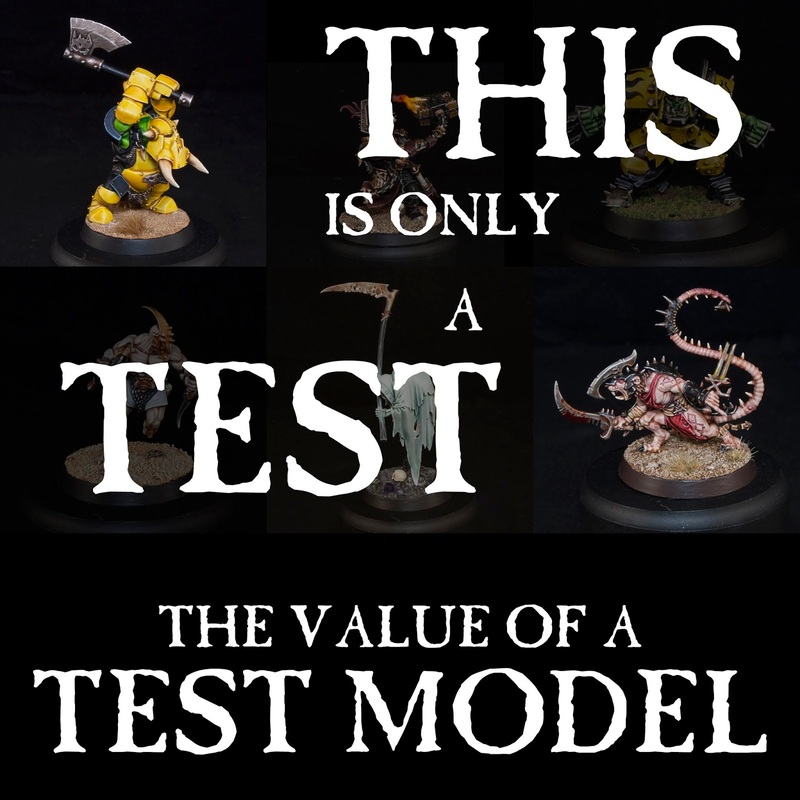 Today I take a deeper look at the Gutbusters and all of its warscrolls. 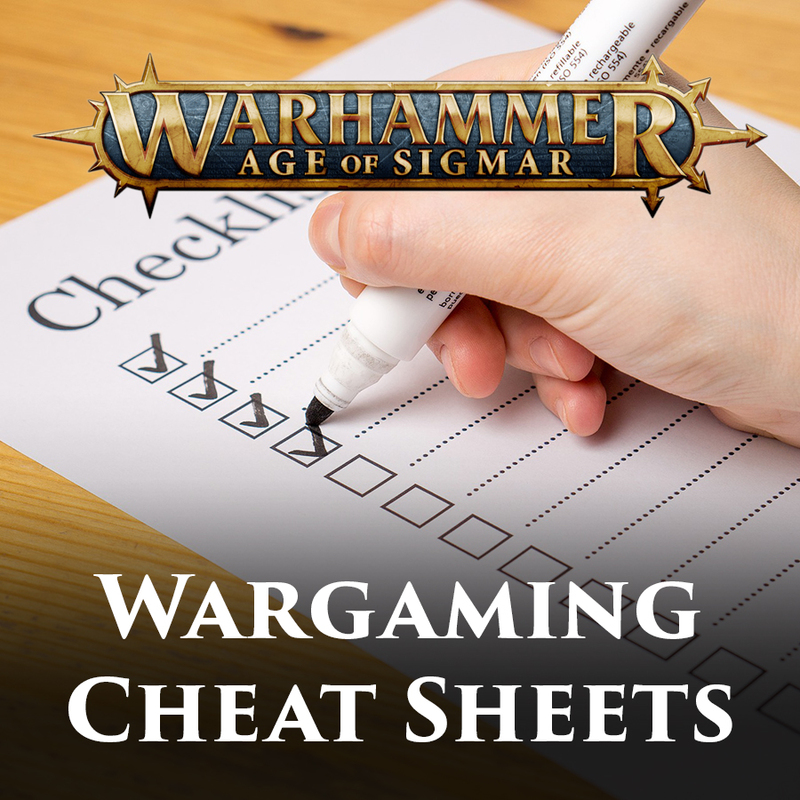 Book keeping has always been an inescapable part of wargaming. From spells to special rules to command abilities, no matter what army or game you're playing theres always a lot to keep track of when you're playing your game, and sometimes this can lead to mistakes. What's the easiest way to make sure you don't forget that vital spell? A cheat sheet of course! City of Secrets was the surprise hit that no one saw coming. 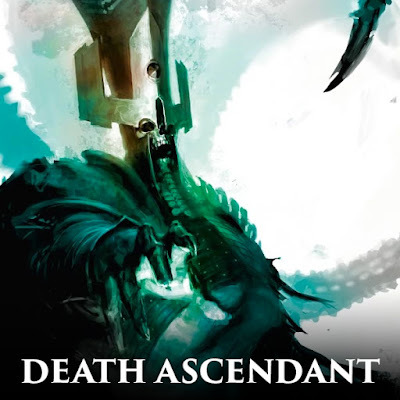 The first AoS novel to focus on the common human, and take us away from the superhuman stakes of the Stormcast. 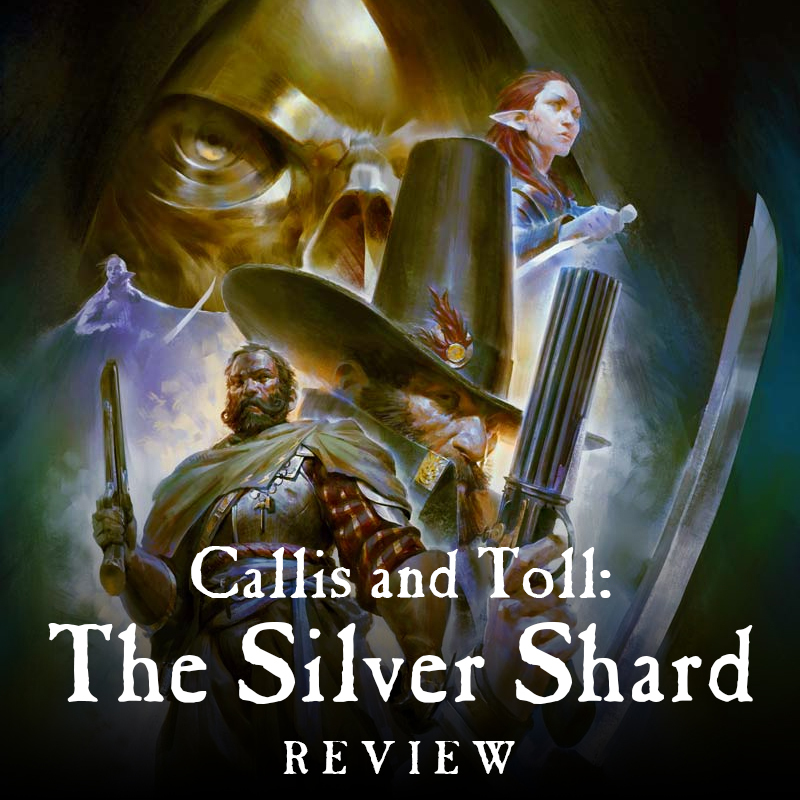 Now Nick Horth is back with its sequel, The Silver Shard, but can it live up to the hype from its predecessor? 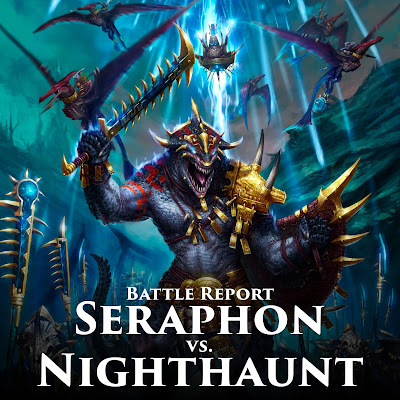 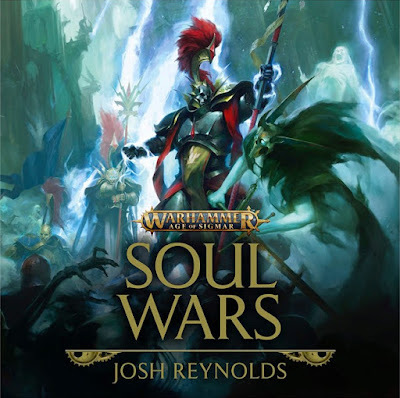 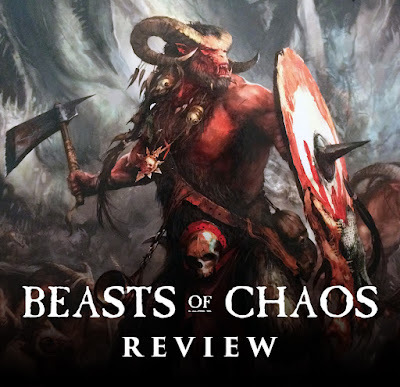 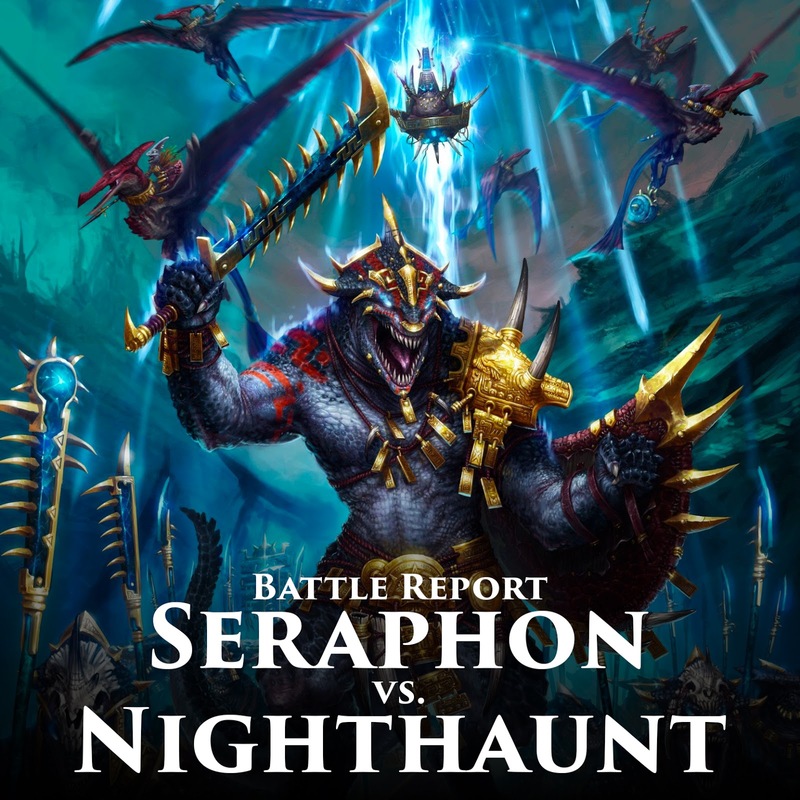 Soul Wars is the first AoS novel since Wardens of the Everqueen came out in 2015 to closely follow the events of a main GW narrative, this time the new Soul Wars starter set. 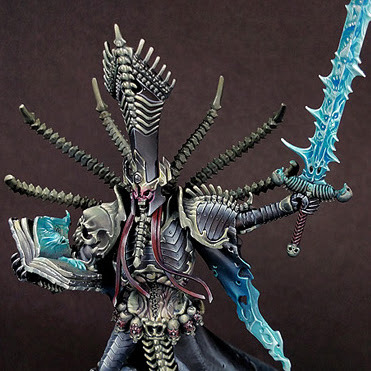 We see the forces of Nagash pitted against the Stormcast Eternals over the city of Glymmsforge as the dawn of a new war starts. 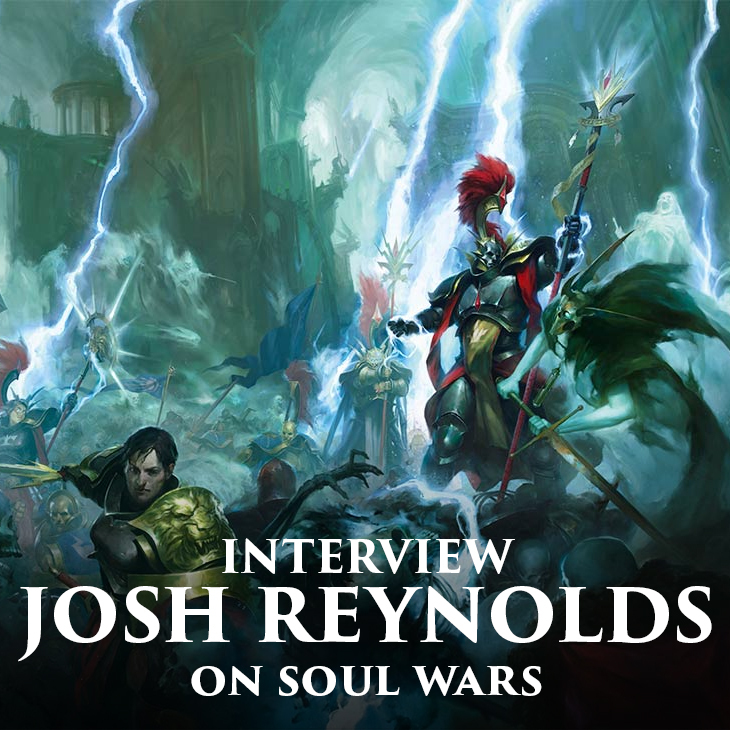 So, is Josh Reynolds able to navigate the waters of a novel tied into a major release, and what secrets does it reveal? Guy Haley is one of the most prolific writers at Black Library and his novels are consistently some of the best ones out there. Dante surprised me with the unique way it handled a Space Marine story, giving us something that stands out from all of the other 40k novels out there. 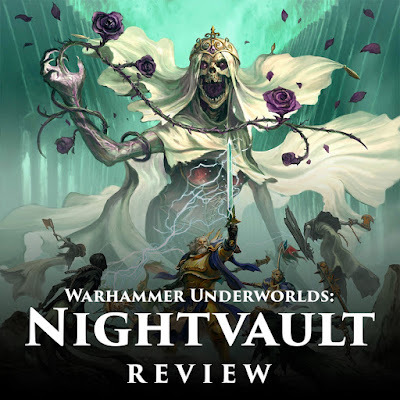 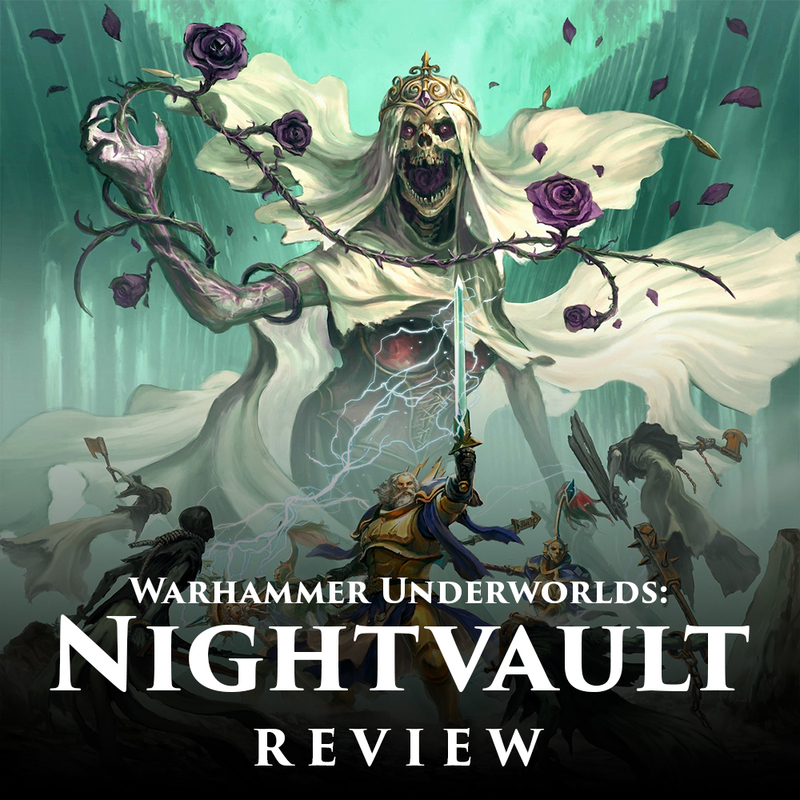 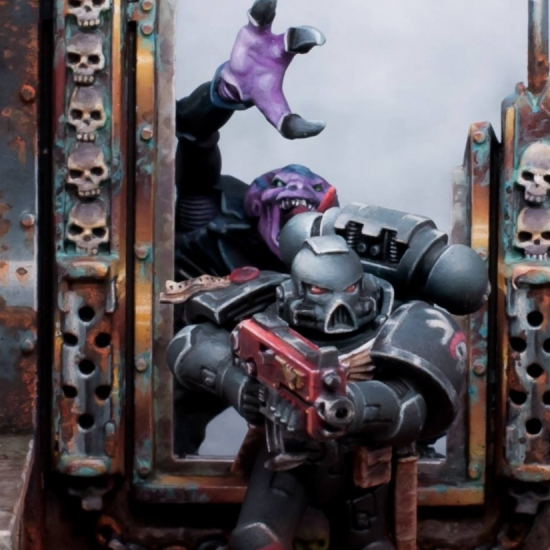 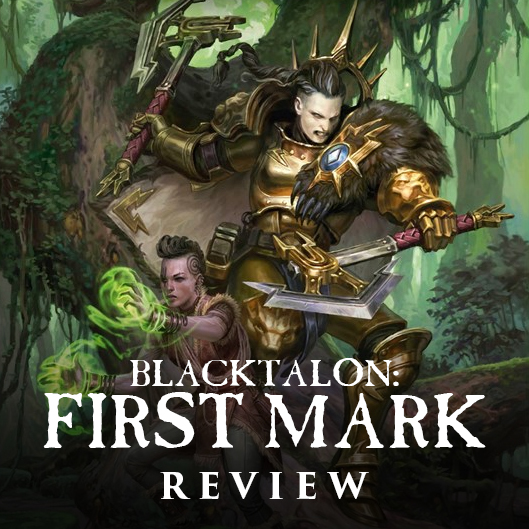 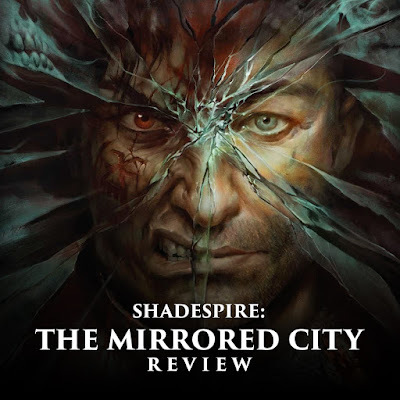 This was followed up with The Devastation of Baal, a sequel that succeeds in continuing the story while also covering one of the most pivotal moments in the new 40k narrative. 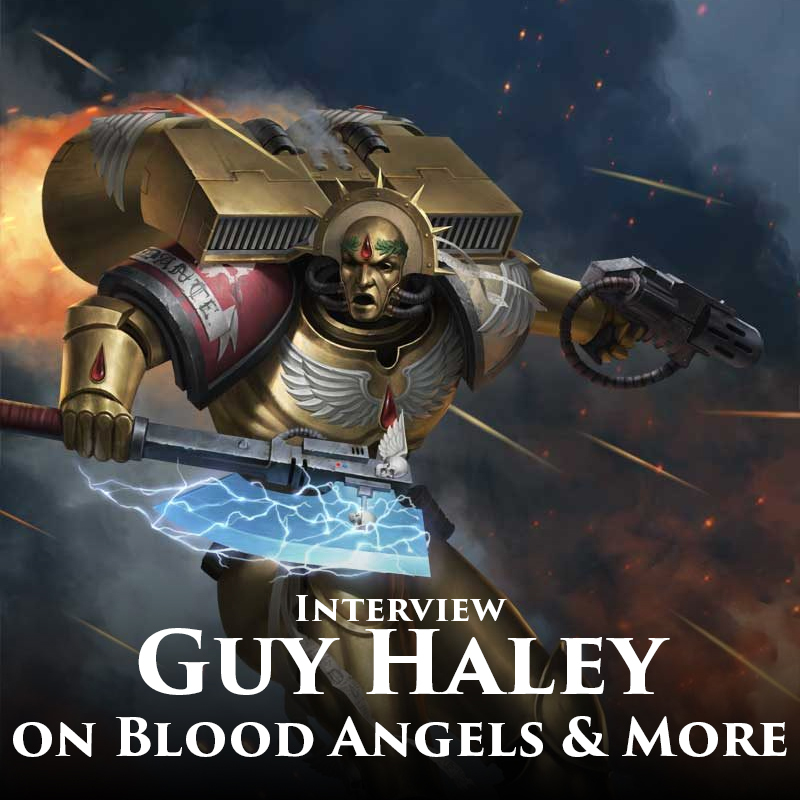 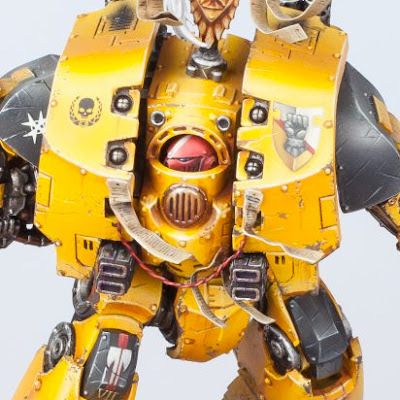 Today, Guy talks to us about everything Blood Angels, 40k, and even the Mortal Realms!